Serving Full HTML Website From Rackspace Cloud Files CDN is possible due to their capabilities.Frankly you can serve a full website from CDN. The method is not discovered by me but Jerry Schwartz of RackSpace, I have made it easier in this tutorial Serving Full HTML Website From Rackspace Cloud Files CDN, so that anyone can follow without doing anything using difficult API things. The biggest possibility of this full method which we are going to describe in a digested way in this tut on Serving Full HTML Website From Rackspace Cloud Files CDN, is – frankly we can deliver our WordPress Cache from Rackspace Cloud Files CDN, instead of server using a to be developed plugin. Its better if you have Rackspace’s standard features for your existing website or rather Rackspace account (Cloud Sites, Cloud Server and Cloud Files). However, the minimum need is a Rackspace account with Cloud Sites (easier) or VPS (difficult) and obviously Rackspace Cloud Files CDN. 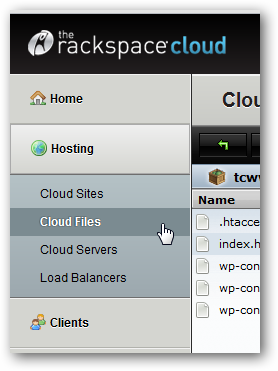 However, only with Cloud Files its possible to follow this tut for Serving Full HTML Website From Rackspace Cloud Files CDN. Update on August 1st, 2013 : There is no need to add any header anymore. By default HTML webpages are now served as HTML webpages. No normal human will love to see this big url of CDN. That is very easy to solve. There are two ways to solve. One is .htaccess on an existing website and second one is using CNAME. 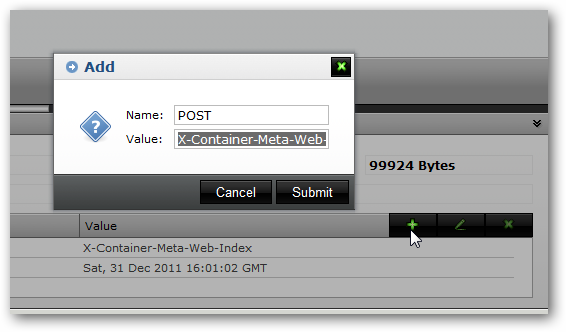 That is what we basically did in Host Rackspace Cloud Sites Subdomain on Dropbox tutorial. But unlike that Host Rackspace Cloud Sites Subdomain on Dropbox tutorial, we will actually add only the CDN url part as CNAME not towards the file. This will give us for example, http://nonexistent.thecustomizewindows.com like CDN served site. .htaccess part is actually like we do (basically cache plugins do) to serve a static HTML page from cache folder without any change in URL. But again, for a full website, Serving Full HTML Website From Rackspace Cloud Files CDN will never be practical if we do not create subdirectories / sub folders. Do not worry, that is very easy. A freeware named CyberDuck can do it efficiently with a GUI. This Article Has Been Shared 6337 Times! Install AjaXplorer on Rackspace Cloud Sites to Extract Zip Files and manage files and folders on Browser with smooth Ajax powered Mac OS X like interface. Heroku Cloud is an excellent cloud PaaS for free of cost for the developers to test or even run serious instances. Here is some extra shining tips for Heroku. HyperDB and WordPress Setup For Rackspace Cloud Sites is a Guide for Getting a Scalable MySQL Database for WordPress on Cloud Sites using default DB. 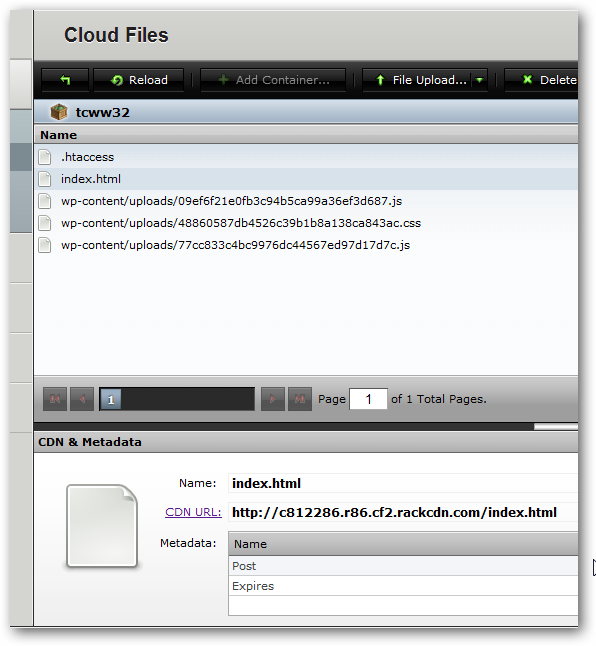 Cite this article as: Abhishek Ghosh, "Serving Full HTML Website From Rackspace Cloud Files CDN," in The Customize Windows, July 15, 2012, April 18, 2019, https://thecustomizewindows.com/2012/07/serving-full-html-website-from-rackspace-cloud-files-cdn/.